16 mm motion picture film is rotated in a movie camera. hd00:1035mm Film Projector Gear Projecting Movie. Cinema projector film gear detail. 35mm film projection cinema technical footage. 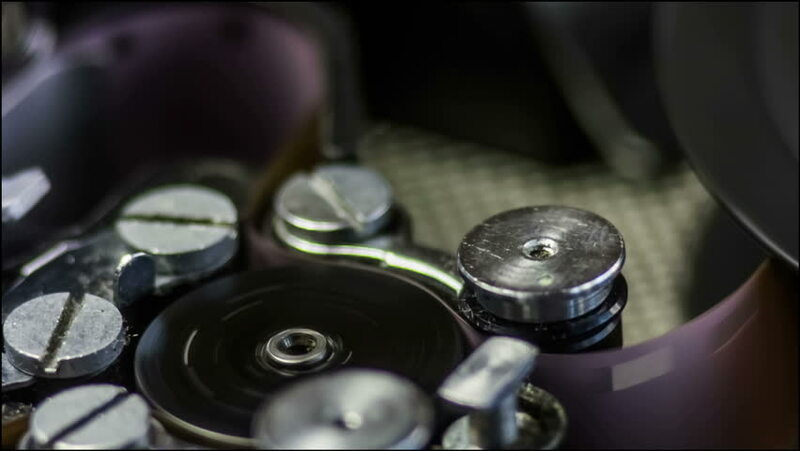 Film Technician mounting a 35mm film reel in a film festival. sd01:48CIRCA 1970s - Highlights of NASA programs in 1977 including aeronautics safety and crash research, and vertical takeoff aircraft development. sd01:48Highlights of NASA programs in 1977 including aeronautics safety and crash research, and vertical takeoff aircraft development. 4k00:12Retro movie projector ball bearings spinning guickly with 16mm film strip. Closeup.